Moving is a busy and exciting time and we're here to make sure the experience goes as smoothly as possible by giving you all the help and advise you need under one roof. From our key position at the heart of Cathays, Cardiff we let and manage a full range of student and professional properties across this very busy patch of the city. Capital Properties are a professional yet approachable letting agent in Cardiff, providing a great service to tenants and landlords alike. Capital Properties was established in 2004 but have over 15 years experience in Cardiff property management. Cardiff Apartments - Established 2003 - Letting agents serving Cardiff, Cardiff Bay and Penarth. Our approach to business is simple. 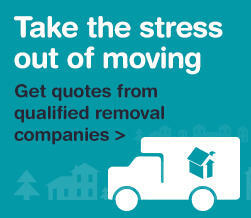 We match high quality properties with trustworthy tenants, ensuring both landlord and tenant enjoy a trouble free let. Cardiff Apartments are currently offering 6 MONTHS FREE MANAGEMENT on all new landlord instructions. Owned and run by Cardiff University Students’ Union, the Letting Agency is committed to ensuring that students find quality houses owned by reputable landlords. Conveniently located in the ground floor mall of the Students’ Union building students’ can register their details and receive email alerts of all new properties that match their requirements. As a company born and bred in Cardiff, we like to think we know our city and its people pretty well. And having been doing business for over a decade, we're confident we know its property market like the backs of our hands too. Here at CPS Homes we bring a refreshingly honest approach to everything we do. Whether you're a vendor or buyer, landlord or tenant, our friendly and knowledgeable staff are on-hand to lend their expert advice whenever you need them. Established in 2009 but with over 25 years’ experience within the property sector CS Properties are your highly efficient and professionally run agent who understands the needs of each person and delivers on all levels with integrity and honesty. Recent additions to our ever growing company now include sales, insurances and full letting service offering you the complete property package. It is our mission statement to offer highly professional advice and guidance whatever your needs may be. Horizon Properties was founded some twenty years ago to specialise in student and professional letting. We have a very large portfolio of properties and can offer a wide spectrum of accommodation from one bedroom flats to large 16 bedroom houses. Imperial is an independently owned letting and estate agency with over 20 years of residential property experience. We take pride in maintaining our properties to the highest standards to ensure our tenants enjoy a luxury living experience and our landlords are able to maximise their rental potential. We want our tenants to experience a high level of customer service whilst living in our properties as it is our belief if we provide high quality properties we would attract high quality customers.